Two characteristics of Trump: Trump the king, ever photographed in his golden tower who, like any fairy tale king, has a beautiful daughter; a West Wing monarch surrounded by a factious court of attendants fighting for his attention and eager to please; there’s his appeals to people with authoritarian tendencies; his dictator chic; etc. And then there’s Trump the infant with his total lack of impulse control; his inability to focus; his relentless-reward seeking behavior; his obsession with size; his hypersensitivity; his penchant for making absurd, easily refutable claims just because it feels good to make them. A king and an infant. The Dalai Lama hit on both in his epic impression, in which he singled out Trump’s golden crown of hair and his small sucking toddler mouth. 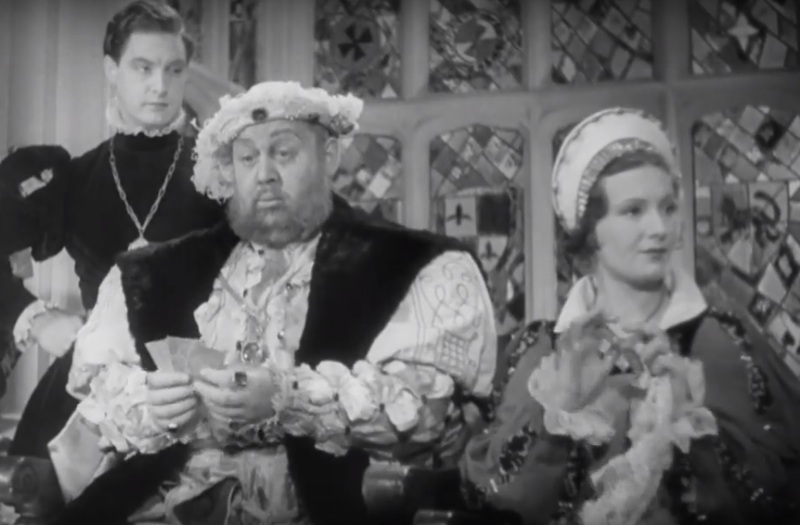 In 1933 Charles Laughton won an Oscar for Alexander Korda’s The Private Life of Henry VIII. It is a bravura performance, worth revisiting. Laughton’s Henry runs around like a child who just learned how to walk. He gropes, screams, whines, and eats like a baby playing with his food. His temper tantrums are fearful, unpredictable — the royal nanny is the only one who can chide him. The climax of the film is the infant’s realization that his lover (mommy?) is cheating on him with another man. One of the pleasures of this film is watching the jarring gap between Laughton’s erratic outbursts, his unpredictable moods and behaviors, and the world of decorum constantly struggling to contain him — like watching a senate committee hearing with its polite and meticulous rules and procedures (“…chairman, distinguished members, as you noted…”) discussing a 3AM Trump tweet. In classical psychoanalysis, the baby is pure impulsive Id — the unconscious part of the soul that is the reservoir of libidinal appetites and unrestrained impulses. Like a king in his court, the infant is totally provided for, excessively handled; it knows no rules or restrictions; it has no proper separation between itself and the world; it is oblivious to contradiction. It is free of the so-called “reality principle” that will later organize the development of the part of the soul Freud calls the Ego: the agency responsible for “representing the external world for the Id,” for mediating and negotiating the Id’s conflict with reality. Then there’s the Super Ego — the third component in Freud’s tripartite system. The Super Ego is the internalization of parental prohibition, and later of the universal demands of higher ideals and of morality. A self-critical, chiding voice — Freud’s version of the voice of conscience — it is the psyche turning against itself, ever holding itself as guilty. The idea that the psyche divides into three definite parts is present from antiquity. In Plato’s Republic, Socrates summarizes the soul as having three aspects — the appetitive, the spirited, and the reasoning — and he goes on to classify people based on which part “rules” them (e.g. soldiers are ruled by the spirited part of the soul). Hence there are three types of personalities, three classes of people. Socrates can then claim that the relationships between these three classes of people — i.e. the structure of the city-state itself — mirror the relationships between the different parts of the human soul. In a cunningly precise parody of the argument from The Republic, American power is currently divided into three parts neatly corresponding to the Freudian division of the soul: we have Trump — a giant unrestrained Id — an unchecked, impatient reservoir of impulses where “the governing rules of logic carry no weight… [where] urges with contrary aims exist side by side…” (Freud, An Outline of Psychoanalysis, 1940). 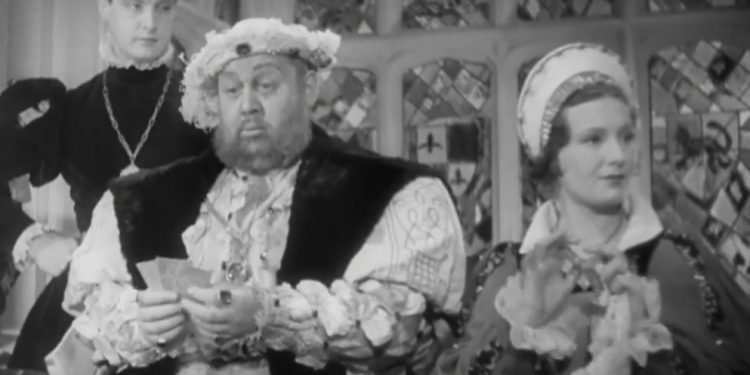 This explains his dual king/infant nature and even his unexpected appeal: an identification with an earlier version of ourselves, that care-free rascal within, who would lash out at an annoying critic for having “the face of a dog” or punch a network in the face. So why is the base of the right “ruled” by the Id with its contempt for reason and its hostility to the universalist morality of the left? And why is the left speaking in the guilt-inducing voice of a Super Ego (how dare you be against gay marriage? Shame on you for not protecting the environment! I find your use of pronouns offensive!) Perhaps — following Plato — we can say that these characterizations are not external to the political divide, but rather are its inner meaning? That, e.g., a gut embrace of Trump and his look-out-for-number-one f*ck-you attitude or, conversely, a knee-jerk tendency to hold the West (i.e. ourselves) guilty for all the ills of the Third World (or for being “the cancer of human history” – Sontag) are expressions of types of personality more than anything else. Perhaps, at bottom, we are already “Id people” or “Super Ego people” and our political inclinations are less about articulated beliefs and more about which part of our Freudian soul rules us. Yuval Adler is a filmmaker who occasionally teaches philosophy.